Drug and alcohol addiction threatens every area of a user’s life, especially their romantic relationships. The emotional toll that substance use disorder (SUD) can take on a couple is very often enough to dismantle the relationship for good. The dishonesty, aggression and volatility that comes with SUD can deteriorate even the closest and most committed of romantic unions. As devastating as addiction can be to relationships in all circumstances, there are unique and specific problems that are exacerbated in relationships in which males are using drugs or alcohol and females are sober. While the best and most healthy course of action in these relationships is usually for the addicted party to enter treatment, even coping with a boyfriend in rehab can be emotionally exhausting. The most immediate problems associated with having a boyfriend battling drug or alcohol use disorder are the safety issues associated with their drug-seeking or intoxicated behavior. Even the most compassionate, lucid, committed and caring person can resort to physical intimidation as well as bullying and manipulation when their brain chemistry is hijacked by alcohol and other drugs. Data from the American Society of Addiction Medicine indicates that substance abuse is a factor in 40 to 60 percent of all instances of intimate-partner violence (IPV) and that more than 20 percent of male perpetrators report using alcohol and/or illicit drugs prior to their most recent and most severe acts of domestic violence. The U.S. Department of Justice reports that women experience nearly five million incidents of domestic violence each year versus around three million for men. While rehab treatment is critical to preserving an SUD sufferer’s romantic relationship, coping with a boyfriend in rehab can bring about considerable emotional and logistical challenges for their romantic partner. While many inpatient and outpatient drug and alcohol rehab facilities offer family involvement, it can be very hard for significant others of addicts to find their behavioral footing when interacting with an SUD sufferer. The Substance Abuse and Mental Health Services Administration’s (SAMHSA) Treatment Improvement Protocol (TIP) 39 helps family members of addicts learn about the disease of addiction and their role in the recovery process. However, romantic partners are often at a loss for how to support and interact with a loved one in rehab. Can they be trusted during the rehab process? Am I responsible for making sure they remain compliant? Do I need to stop drinking and drugging as well? How can I make things easier? The answers to these questions vary based on personal dynamics, the intimacy level, and the history of the relationship. 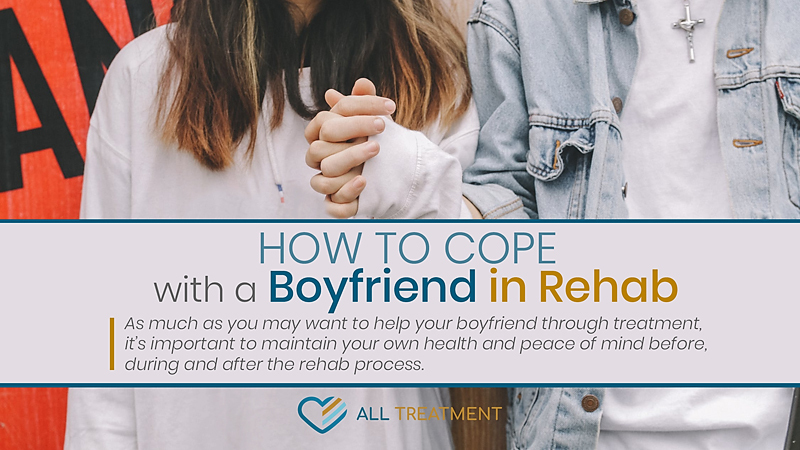 As much as you may want to help your boyfriend through the treatment and recovery process, it’s important to realize that you maintain your own health and peace of mind before, during and after the rehab process. From an everyday perspective, this means continuing to work or go to school, maintaining proper eating habits, continuing to do the things you love, confiding in your friends and loved ones and relying on them for emotional support, and nurturing your other relationships. From an intimate-relationship perspective, it means establishing and adhering to interpersonal boundaries, setting clear expectations for behavior, keeping yourself out of harm’s way, and refraining from enabling your romantic partner. Each couple should establish their own boundaries according to interpersonal and contextual history. These boundaries are not meant to be punitive; they are meant to establish consistency, accountability and compliance to ensure safety, mutual trust and peace of mind. Having a boyfriend in inpatient rehab comes with a special and unique set of obstacles, not the least of which includes the prolonged length and distance of a residential program. The average inpatient rehab program lasts 28-30 days, during which patients undergo considerable behavior modification that can bring about significant psychological changes. Being apart for this long can create serious strain on the relationship; however you can both benefit from this growth instead of sacrificing your relationship to it. While the absence may be painful in the short-term, it’s important to realize that the only way to restore health and longevity to the relationship is for your partner to get the help he needs. Untreated addiction will erode the trust and fabric of the relationship. In the meantime, there are ways to cope and stay connected, including letters, email, phone calls and scheduled visits. Each inpatient rehab facility has their own guidelines regarding contact with family and loved ones. 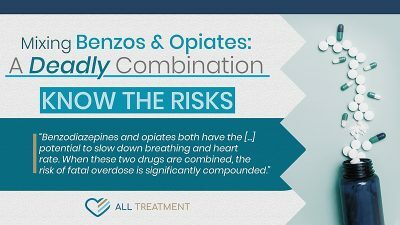 Many will request that patients spend the first two or so weeks concentrating on their treatment, and then permit incremental contact during the second half of their treatment. Other treatment centers allow constant use of electronic devices such as cell phones, laptops and tablets. Most facilities also offer family programs that allow patients’ loved ones to educate themselves regarding the disease of addiction and their role in the recovery process. It’s incredibly common and far too easy to unwittingly enable a loved one in their substance abuse. It may be helpful to seek therapy of your own to cope with the trauma of being in a relationship with an addicted boyfriend and to rely on the objective insights of a mental health professional to gauge the level of your enabling. Enabling can also be the product of codependency, another issue best explored in treatment. Data from Kent State University indicates that more than 40 million women have been labeled as codependent. Codependent behavior can lead to multiple other mental health issues including depression, anxiety, and addiction. Trying to thrive in a relationship dominated by addiction is a fruitless endeavor. When your boyfriend is battling substance use disorder, treatment is the only means by which they can restore their health and quality of life and you can return to enjoying your long-term relationship. It is also true, however, that the rigors and changes of the rehab process can test the strength of any relationship. If you’re endeavoring to cope with a boyfriend in rehab, you must make sure that you, yourself, are emotionally strong enough to weather the storm. Before you can take care of him, you have to take care of you.